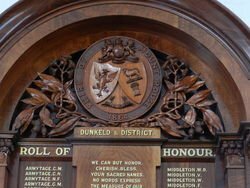 A wooden honour roll commemorates those from Dunkeld and District who served in World War One. 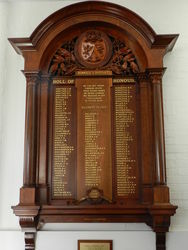 The Dunkeld & District Honour Roll was unveiled by the Governor General Sir Roland Munro Ferguson on the 5th April 1919. 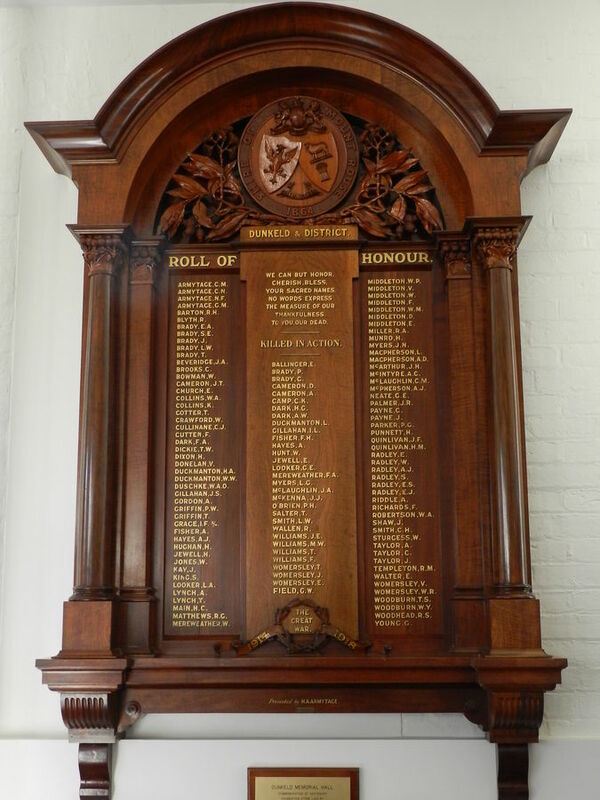 The roll was presented by Mr Harold Armytage. The Argus (Melbourne), 5th April 1919. Presented by H. A. Armytage.